No one is online or you are getting the following message: ‘Cannot establish connection to the messages server’. If the red X mark is there — click it. IP address: look up the IP, from which you open the main page (URL domain), here. 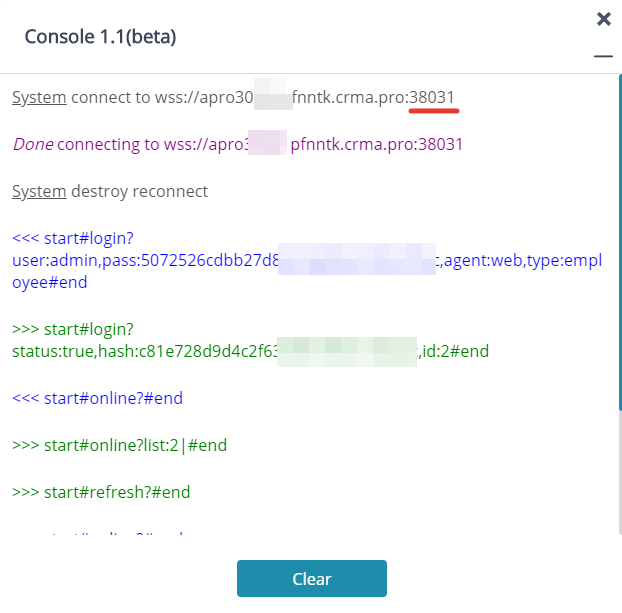 Host: apro[technical identifier].crma.pro (look it up in the first system activation email you received); yourdomain.crma.pro. Protocol: WSS (Web Socket Secure): https://en.wikipedia.org/wiki/WebSocket. To detect the protocol port, go to https://yourdomain.crma.pro/crm/tools?debug=test and check it out here. Use a protocol switching proxy only. 3. 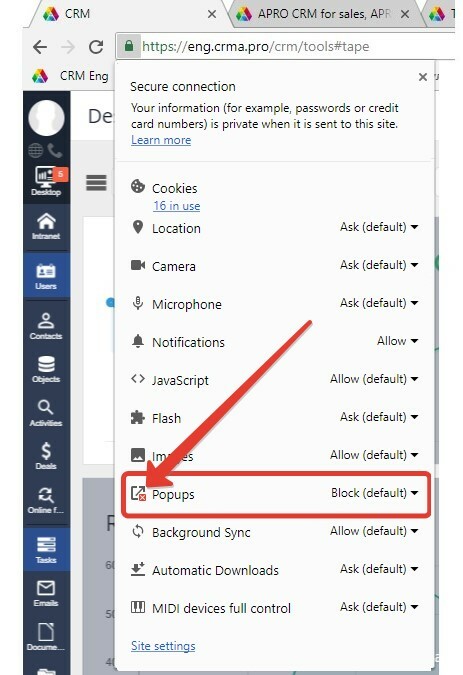 You can also try reauthorizing, clearing cookies and cache in your browser, rebooting your Internet connection or computer.